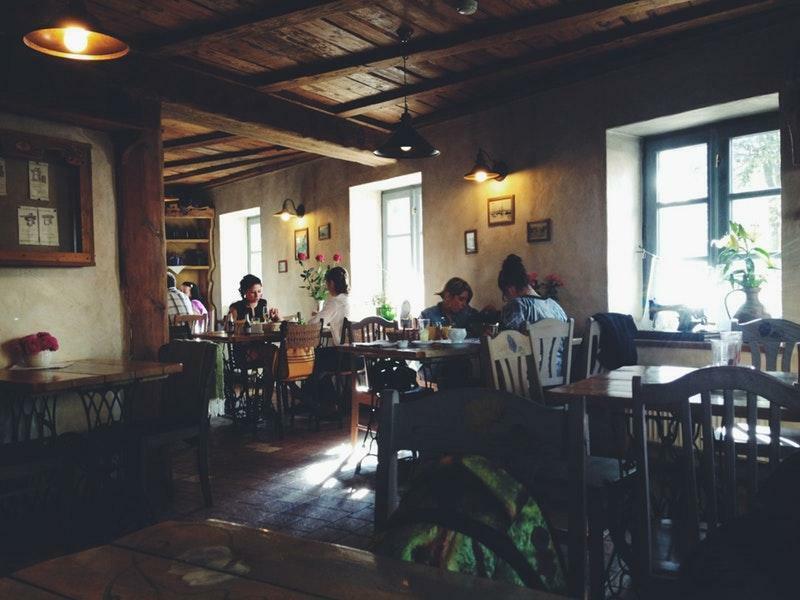 After a walk around Ventspils Creativity House Planetarium and Observatory, many visitors stop by this restaurant. 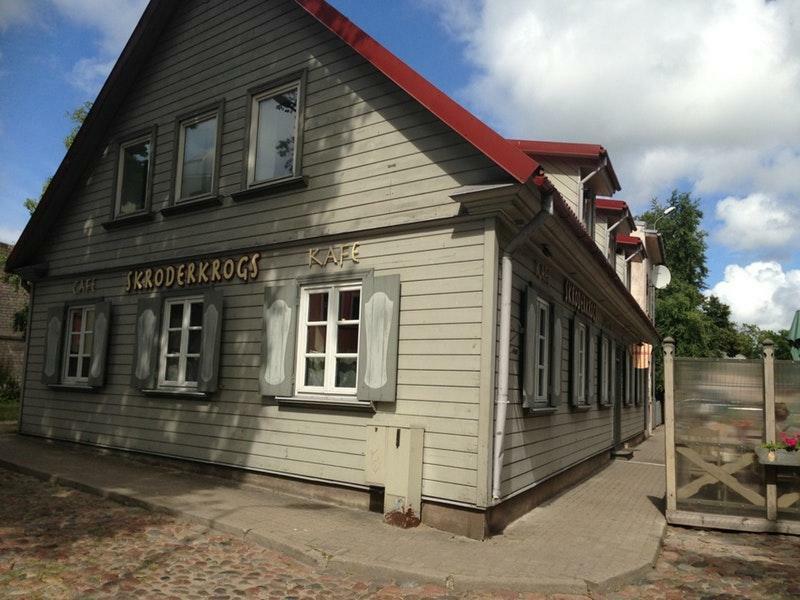 Taste mouthwatering salmon, solyanka and pork chops to form your opinion about Skroderkrogs. Ordering tasty parfait and good ice cream is a nice experience here. At this place, clients can drink delicious wine, beer or white wine. Try great coffee. Select between indoor and outdoor seating. The attentive staff welcomes visitors all year round. The fabulous service is a big advantage of this spot. According to the reviewers' opinions, prices are average. At this restaurant, people can enjoy the quiet atmosphere and divine decor. 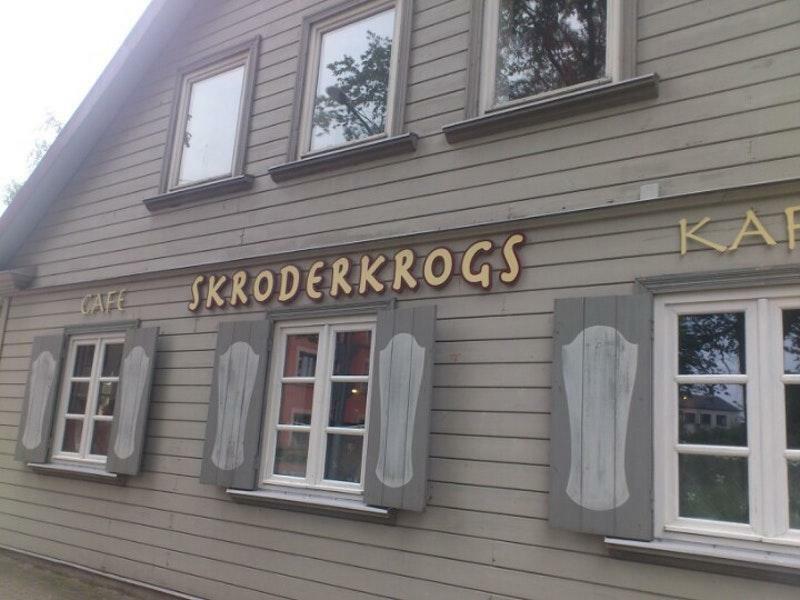 Guests rated Skroderkrogs 4.5 on the TripAdvisor site. Fabulous food drinks and atmosphere! There tables were made from the old fancy sewing machine legs.The town is quaint and historic! Good place to visit! Excellent food and service! An absolute must in Ventspils! An excellent meal after a short wait. Waitresses took care to explain dishes to a somewhat lost Englishman... if the chef wishes to move to Manchester, we can make lots of money! !